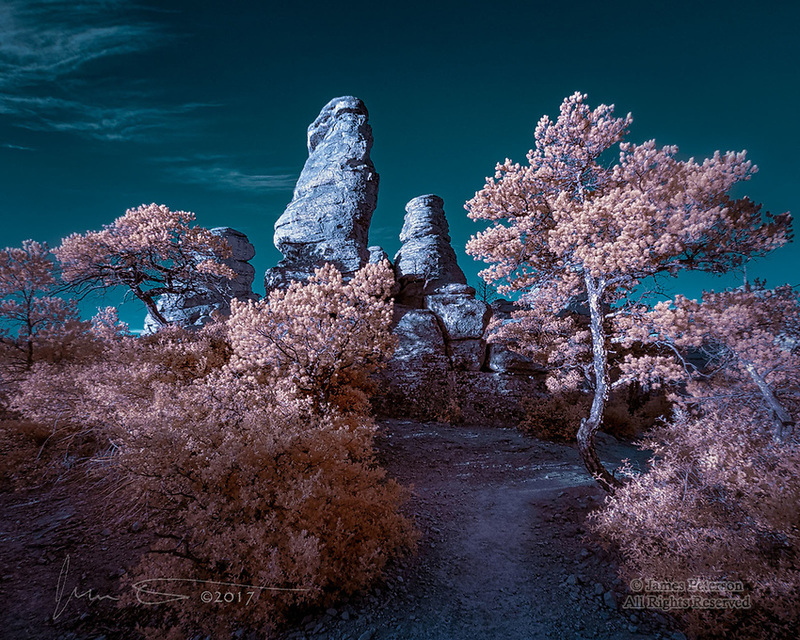 Phantom's Thicket, Chiricahua National Monument (Infrared) ©2017 James D. Peterson. If you hike the Echo Canyon Trail just after sunrise, you'll traverse this slightly supernatural scene. My infrared camera had its own idea about what it should look like, and insisted on turning it into an alien dreamscape.